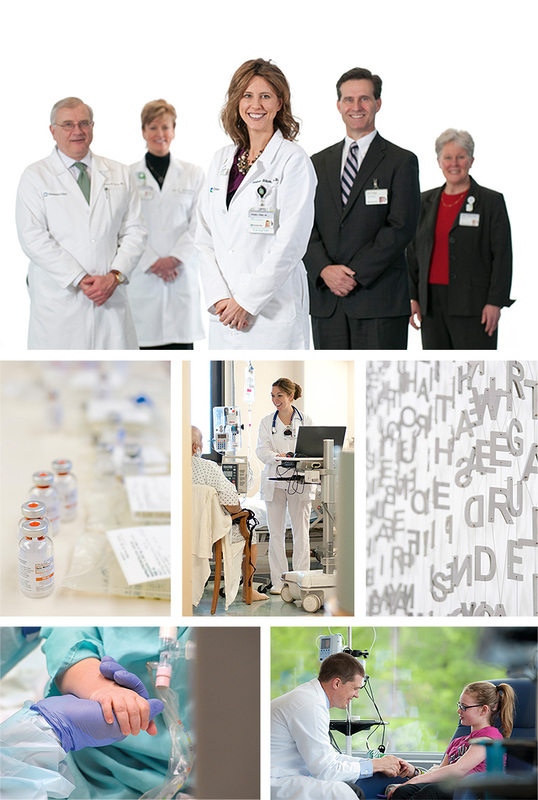 Imagery is an integral part of Cleveland Clinic communications. Visual imagery, specifically photography, can effectively convey and support Cleveland Clinic’s brand promise. We must ensure that it consistently captures our key brand characteristics: leadership, compassion and comfort, helpfulness, approachability and professionalism. Do not use clip art and illustrations (except professional medical illustrations) because they do not reflect our brand characteristics. Photography depicting patients, doctors and healthcare professionals in hospital, clinical, laboratory or academic environments most directly communicates the care, commitment and expertise embodied by Cleveland Clinic. Creatively cropping these images also communicates a larger story through smaller details. By shifting focus from the center to the edge of an image, a larger environment is suggested, which adds depth to the photograph’s message. Both color and black & white photography styles appropriately reflect our brand attributes. Photography of hospital, laboratory and academic environments, that follow the same cropping and focusing techniques suggested earlier, can be reproduced as duotone images with colors taken from the color palettes. Subjects should emphasize proactive medical treatment and research, and natural phenomena.